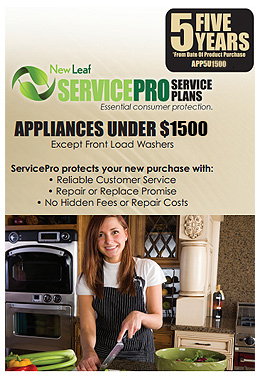 This Peace of Mind from New Leaf ServicePRO Service Plan provides 5 years of coverage from the date of purchase. The 5 year warranty has a significant added benefit - it comes with a coupon that can be redeemed for half the price of the warranty! If at the end of 5 years you never had to contact New Leaf for service, you can redeem the coupon for a gift card worth half the value of your warranty. Warranty is only applicable for the contiguous 48 states.